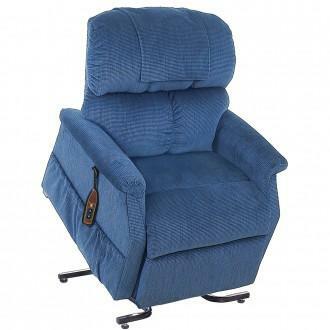 A totally new concept in power lift recliners, Golden Technologies’ Comforter PR-501 has been completely redesigned with a tasteful contemporary look that's at home alongside any furniture style. But don’t let its attractive finish fool you! 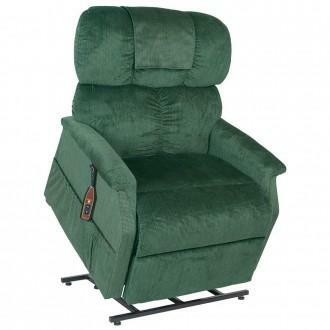 This chair is crafted from reinforced, double-doweled maple, adding strength to stress points, and also features the unmatched safety of chaise lounge padding on every model! New back design provides soft, secure pillow effect for unmatched comfort. 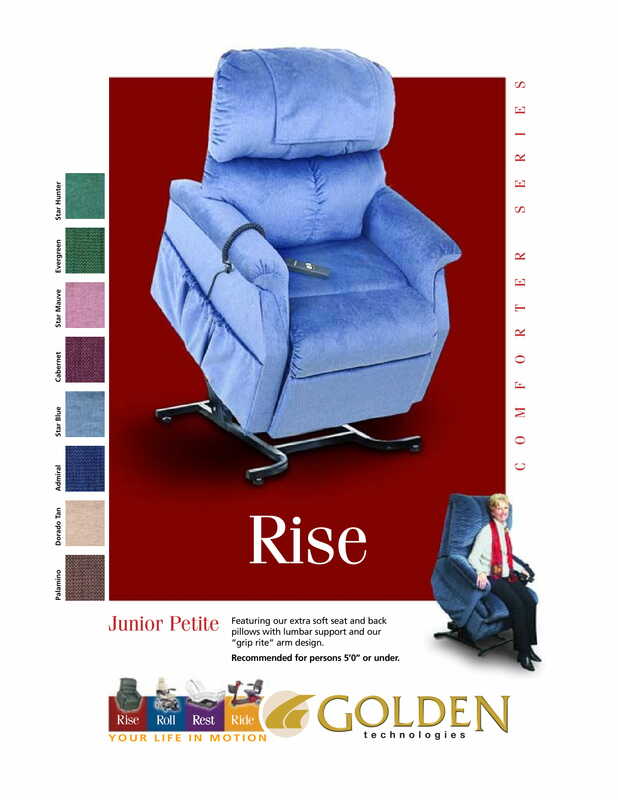 Why Golden: Comforter PR-501JP Junior Petite Lift Chair? 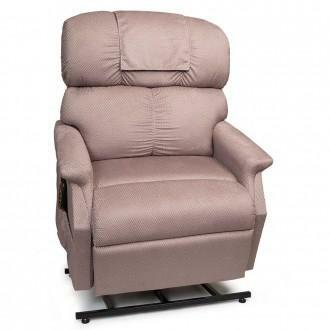 A totally new concept in power lift recliners, the Golden Technologies’ Comforter PR-501 has been completely redesigned with a tasteful contemporary look that's at home alongside any furniture style. But don’t let its attractive finish fool you! 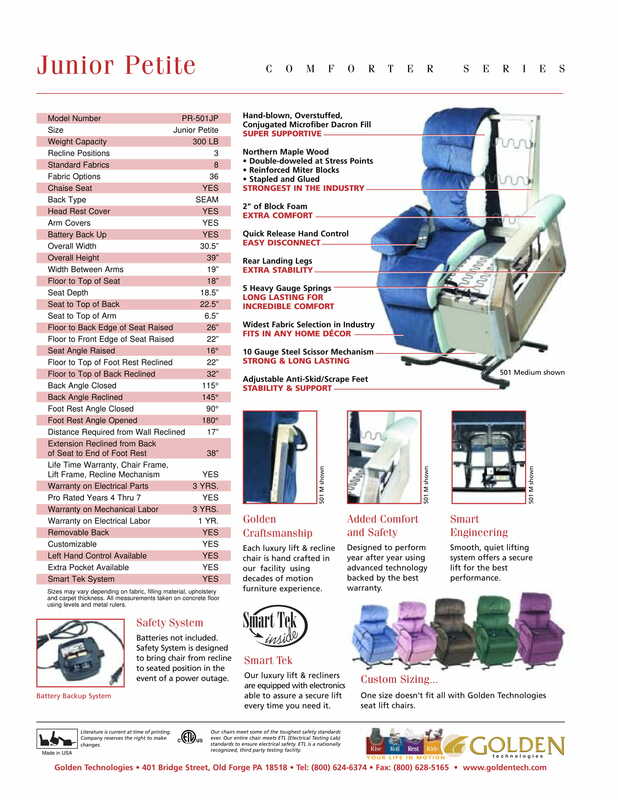 This chair is crafted from reinforced, double-doweled maple, adding strength to stress points, and also features the unmatched safety of chaise lounge padding on every model!